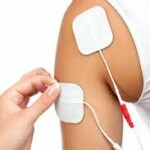 Electrical stimulation or E-stimulation is commonly used in Physiotherapy to help increase the strength of weak muscles. It is used to “wake up” and to increase strength of skeletal muscle. What are the benefits of E-stimulation? What is E-stimulation commonly used for? If you have a condition that you think would benefit from E-stimulation, book an appointment with one of our physiotherapists. They will carry out a full assessment then use a range of techniques to treat your pain and help you return to full function as quickly as possible.